You’ve got engine problems with your BMW? Or you just want to connect to your BMW’s advanced diagnostics systems? A BMW scanner is the right tool for you. 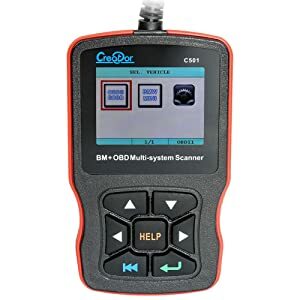 What you will find in this article are detailed reviews of OBD scan tools for BMW owners, DIY people, and professional mechanics in the market in 2019. 3 Do I Need A BMW Scan Tool? 5 Will My Scan Tool Last? Below is the comparison chart of Editor’s Top 3 Picks of BMW Scan Tools for an easy purchase. 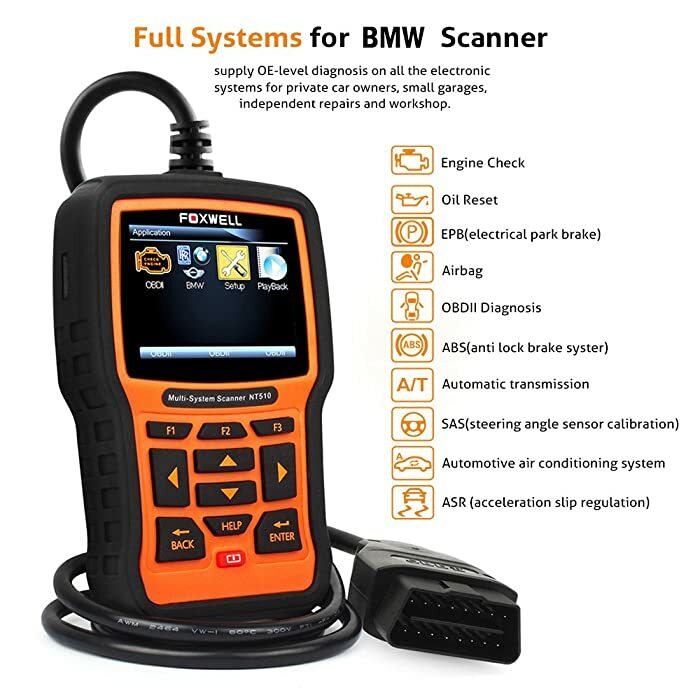 Bottom Line Foxwell NT510 is the best BMW scan tool in this list for those who want to do car maintenance at home and for BMW mechanics. MAOZUA Creator C310+ is the best affordable BMW code reader for those who want to find out why their dashboard error lights are on. 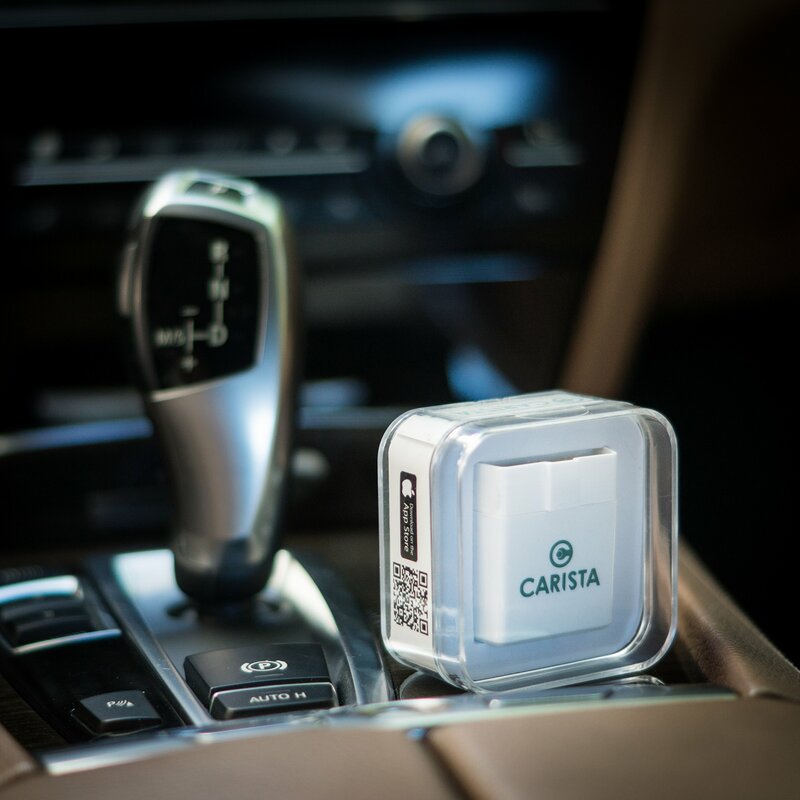 Carista is the perfect choice for those who prefer a Bluetooth BMW Scanner. As a BMW Diagnostic Tool for professionals and enthusiasts, Foxwell NT510 can works on tens of makes by installing the appropriate software. Foxwell NT510 offers a great blend of features at a reasonable price. You can access most specific information with this BMW scanner. It does more than that, however. Offering a whole host of special functions, like brake de-activation, battery registration, and oil light information, this diagnostic tool is practically a must-have for anyone who plans to service a BMW vehicle. You’ll get both generic error codes and manufacturer specific information, which makes NT510 great for anyone doing a lot of auto work. Because of the full functionality of this BMW OBD scanner, you won’t need to buy anything else. You don’t need a phone or a separate app. FOXWELL NT510 offers a lot of Functions and Diagnosis for BMW, MINI and Rolls Royce. Beside BMW vehicles made from 1987, Foxwell Nt510 BMW scan tool can work well on MINI (from 2002) and Rolls-Royce (from 2003). In case you want to use this scanner on other car makes, remember to get it updated with the appropriate software. It’s got a variety of first-party software patches that allow it to work with almost all the popular car makes as well. You have to pay for software patches in order to use this scan tool to its full potential with non-BMW vehicles. It’s not a huge fee, but it is an additional cost you should be aware of. While the interface on this BMW scan tool is simple and practical, it’s not as detailed as the interface you see on scanners that work with your phone. In practice, this isn’t a problem, but you might have trouble reading some of the more advanced graphs. Finally, this scanner doesn’t support “coding” or “programming”. If you want to change settings on your car, you may have to go to a dealer or choose another scan tool. Who is Foxwell NT510 Built for? 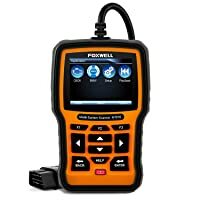 Advanced features like a datastream viewer and manufacturer-specific error codes make Foxwell NT510 perfect for BMW owners who want to save money while diagnosing car problems or those who often work with BMW, MINI, and/or Rolls-Royce vehicles. Extra features offered by this BMW diagnostic tool such as battery registration or Brake Deactivationmake many DIY maintenance headaches vanish. 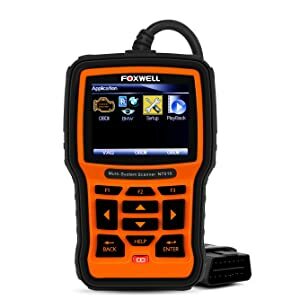 Overall, Foxwell NT510 is the best BMW scan tool in this list for those who want to do car maintenance at home or even BMW mechanics. 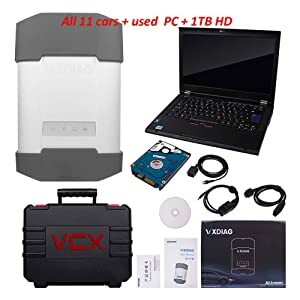 While it doesn’t have every feature you might want MAOZUA V7.7 Creator C310+ is still perfect for BMW owners who want to save money on car maintenance. Why Taking MAOZUA V7.7 Creator C310+ BMW Code Reader? 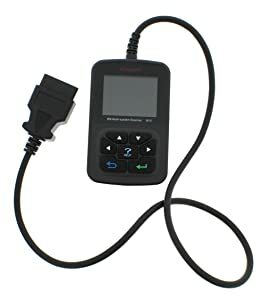 MAOZUA V7.7 Creator C310+ is an inexpensive BMW code reader made for all BMWs made after 2000. 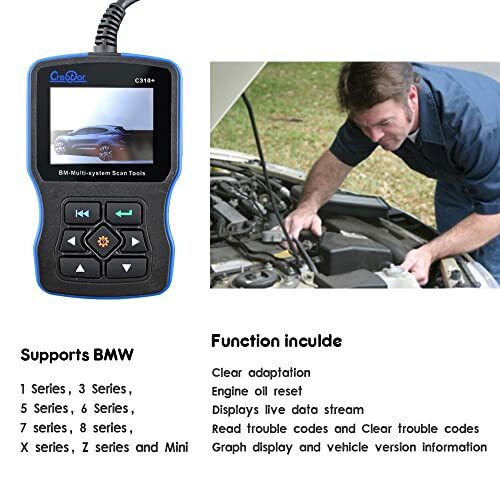 This BMW code reader is not as fully featured as some other models, but you can still clear trouble codes and view lots of live diagnostic data. Most of the time, all you need to do is to figure out why one of the dashboard lights is on. This BMW fault code reader is perfect for doing just that. Creator C310 Plus supports ABS, SRS. The code reader also reads and clears your check engine light codes. Moreover, you can view lots of diagnostic data provided by your car’s OBD-II system. The free software patches via USB cable will allow you to use this code reader on any BMW cars. MAOZUA Creator C310+ offers a lot of service functions on a number of BMW series. You can’t program your vehicle with this tool, nor can you register a battery or de-activate your brakes. What this means is it’s not the best choice if you’re more serious about car maintenance. While this scanner is pretty cheap, it’s not made in the US. The manual and interface can be somewhat confusing for native English speakers to read. This isn’t a major issue in practice, but it will take you a few minutes to figure things out for the first time. Who is MAOZUA V7.7 Creator C310 Plus built for? While it doesn’t have every feature you might want, it’s still perfect for BMW owners who want to save a bit of money on car maintenance. This BMW code reader is the best BMW code reader and perfect for those that want to figure out why their dashboard error lights are on. Picking up this code reader is less expensive than a visit to most mechanics. So, even if it’s your first time with a check engine light, you can probably save money with this tool! If you are in search of the best BMW scanner on the market then Carista Bluetooth BMW scanner will not disappoint. It supports both Android and iOS devices and works quite well thanks to the app. Why Take Carista Bluetooth Scanner? This BMW reader comes with an app of its own and offers 1 month of free complete features for BMW. You can do a variety of tasks with the app including reading and clearing ABS codes. Moreover, it can also help diagnose problems in the wheel and wheel sensor. This BMW scan tool can also perform diagnostics on the airbag systems and find faults that prevent the airbags from deploying correctly and on time. This helps ensure safety. You can’t only read and clear basic trouble codes with Carista but also reset oil and airbag light in your BMW and a few other models as well. Reprogramming the key fob is not a problem with this scanner and it can also help keep your car’s ECU up to date. 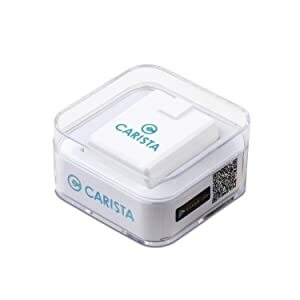 This Carista adapter fully supports the OBD2 protocols. It is compatible with 1996 and newer models of a few brands including BMW, Mini, VW, Audi, Toyota, Lexus, and Scion. Note: Some features might not work properly in brands that are not mentioned. Free one-month subscription from Carista. Offers torque steering compensation to control traction when at high speed. Works with 3rd party apps as well such as Torque. Speedometer shows gas consumption, Chrono speed, and real speed. Subscription needed for the advanced features after 1 month of free trial. This BMW code reader will help you reset engine trouble codes, airbag lights, and abs lights as well. It can be difficult to find a BMW scan tool that’s compatible with BMW models manufactured between 2000-2011 and for it to support all the features. If your car falls among then range then Maozua c110+ can be a good BMW reader for you. Maozua c110+ is excellent at reading and clearing trouble codes. It works quite well and helps solve problems in a jiffy. It is common for ABS and SRS systems to malfunction in BMWs. There can be many reasons for faults in the ABS system such as in the wiring or the speed sensors that cause the ABS light to illuminate. Maozua C110+ can keep you safe by helping you solve ABS-related problems. Another handy feature that makes it one of the best BMW scanners is its ability to read and clear airbag light. You can check and fix problems in the SRS (airbag) system with this beauty. It also offers many other features such as check engine trouble codes, display live data, and view vehicle information. This scanner will work on BMW models manufactured between 2000 and 2011. It is compatible with the MINI brand as well. 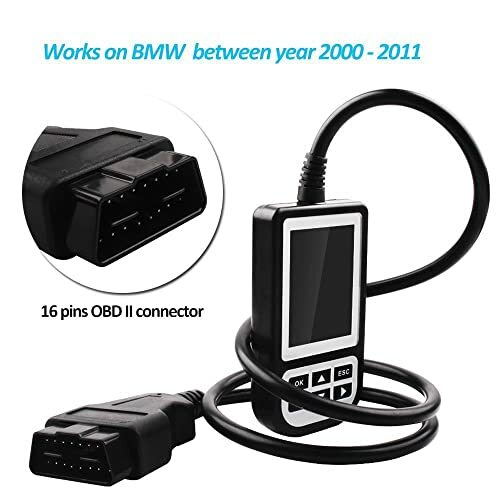 Creator C110 offers 16 píns OBD II connector and works on BMW between year 2000 – 2011. Is easy to upgrade as it comes with a USB cable. Supports English and German language. Only clears the ABS and SRS light once the problems fixed. Only read and clear trouble codes feature in F series models. It is built for DIYers and mechanics who want to diagnose BMW scanners for ABS, SRS, and basic functionalities. If you want to use your phone‘s interface instead of a few basic rubber buttons to view data from your car, Original Carly for BMW is the perfect choice. 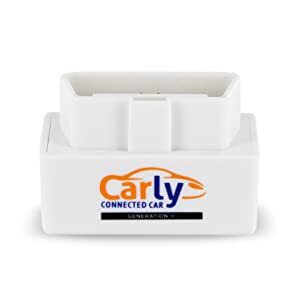 Why Taking Original Carly for BMW Wifi Adapter? Original Carly for BMW is one of the best BMW scan tools that allows you to connect an app on your phone directly with your car’s computer. While this BMW scanner doesn’t come with a “pro” app, it will let you view error codes right out of the box. Once you buy the app upgrade you can reset error codes and access quite a bit of advanced functionality. The improved usability of Original Carly for BMW makes it much easier for most people to use. The apps you can connect have intuitive interfaces and make full use of your phone’s high-resolution screen and touchscreen controls. 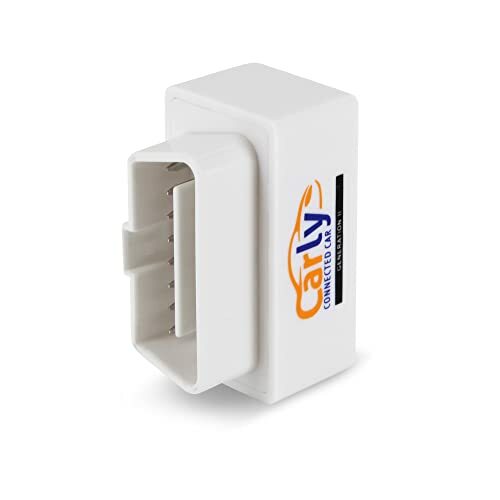 Original Carly for BMW is a cheap wireless scanner that can let you use an advanced app to view and clear error codes and access your car’s diagnostic data in a more useful format. You have to pay an additional fee to use the pro app that pairs with this device. The “free” version only lets you view codes, not clear them. This means that there are some hidden costs associated with this device that you’ll need to pay in order to unlock its full functionality. Additionally, you may some issues with software updates and this device. Who is Orginal Carly for BMW built for? If you want to use your phone‘s interface instead of a few basic rubber buttons to view data from your car, this BMW scanner is perfect for you. The adapter plus app combo means that you can access data in a much more convenient way and even e-mail yourself copies of the results. This multisystem scan tool is among the best BMW scanners. It can diagnose various car systems such as the chassis, body, driver, engine, airbag, SRS, etc. It can read and clear oil engine light, ABS/SRS light, and even scan the A/C system. The scanner can help keep your safe and your car well-maintained as it monitors seat occupancy and seat belts as well. If the seat belts aren’t clipped properly or if there’s an issue in the SRS system, it will read the code and provide an explanation. It can also read oil engine reset light and help in clearing it. 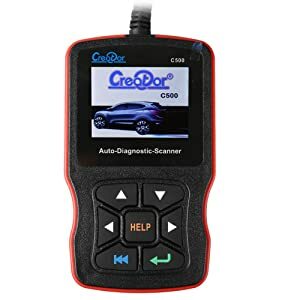 If you are in search of a BMW diagnostic tool that can read and clear various body and chassis fault codes then Creator C501 can be a good choice. This beauty offers several basic features as well. It can check engine light codes, show graphical data, stream live data, etc. This scanner works like a charm on all BMW models manufactured between 2001 to 2016. It also supports obd2 supported cars released in and after 1996. Moreover, it works on obd2/EOBD European cars released after 2001 as well. Can’t register a new battery. It is for DIYers and enthusiasts who want to find ABS or SRS related issues in their car. Moreover, it can offer basic functionalities too such as O2 sensor test, freeze frame, etc. 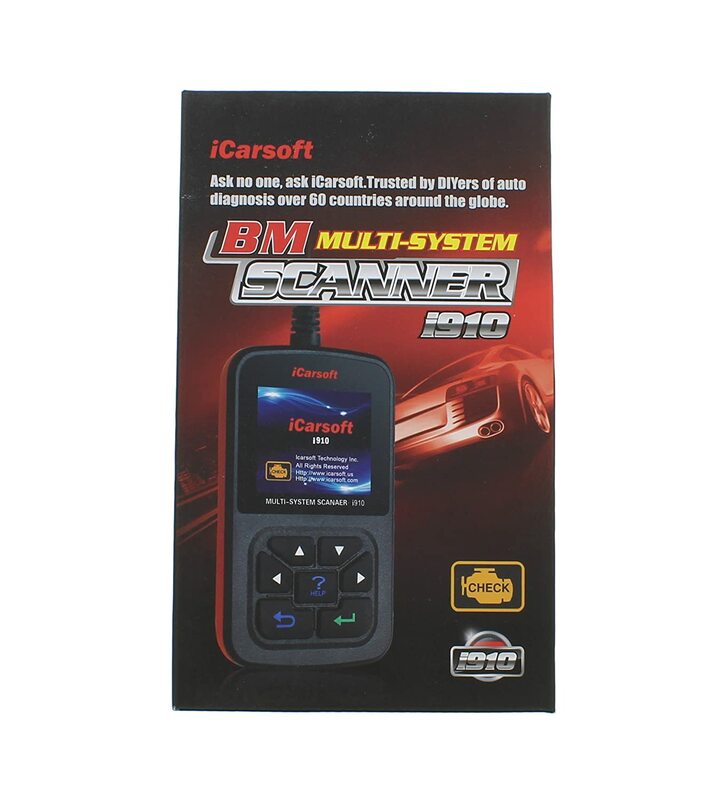 If you want the best BMW scanner for an affordable price then iCarsoft i910 can be a great option. It can read ABS, SRS, engine and transmission codes and also help highlight the cause of the problem. With this BMW reader, you can read and clear warning lights easily. It will aid in reading issues in the airbag and ABS system and clear the light after the issue is fixed. This scanner also supports key immobilizing so that the engine can’t be turned on without a key. You can calibrate the steering sensors with iCarsoft i910 and check tire pressure control with the TPMS feature, too. You can also perform basic features such as o=I2 sensor test, MIL, CEL, Evap test, etc. It is trusted by DIYers of auto diagnosis over 60 countries around the globe. It supports BMW models between 1997 to 2018. Diagnoses ABS/SRS faults with great accuracy. It doesn’t support computer reprogramming. Instructions in the manual are vague. 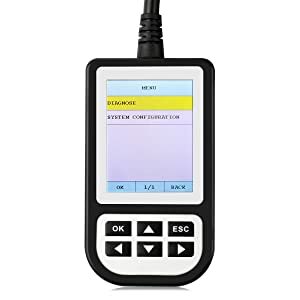 It is built for semi-professionals, mechanics and DIYers who want to diagnose complex issues such as TPMS, ABS, SRS trouble codes in their BMW models. Creator C500 is a multisystem scan tool that supports BMW models from 2001 to 2016. Like C501, this one is also a multisystem scan tool that supports BMW models from 2001 to 2016. It diagnoses multiple systems including the chassis, body, and driver. It reads faults in the ABS and SRS systems, plus it can read and clear engine oil reset light. This scanner supports all BMW models manufactured between 2001 to 2016, and all obd2/EOBD European cars made after 2001. It also supports 1996 and newer models that are obd2 supported. No advanced features other than the ABS/SRS. Doesn’t support BMW series 2, series 4, and X series. DIYers and enthusiasts can use the scanner to find issues in the ABS and SRS systems, reset engine oil light and perform many basic features as well. If you’re trying to program your car or you want access to specialized BMW engineer functions, this diagnostic tool is the best choice. Why Taking VXDIAG MULTI Professional BMW Scan Tool 12 in 1? This professional BMW diagnostic tool allows you to plug directly into your car. While it’s not the most user-friendly option and you may have to purchase additional software, the BMW diagnostic tool is one of the few solutions that gives you access to every feature your car offers. This means you can program your car, use special BMW engineer software, or simply do basic tasks like reset your check engine light. If you want full, professional access to your car’s computer systems, VXDIAG MULTI Professional 12 in 1 BMW Scan Tool is the best pick. You can use the BMW software meant for vehicle engineers to get user-friendly access to advanced systems which include programming modules, advanced diagnostics, coding, and access to functions normally hidden from scan tools available to the public. While this BMW diagnostic tool doesn’t display information on its own, for many users, this is a plus. You have access to a much larger screen on your laptop, phone, or tablet, enabling you to easily read complicated graphs and control advanced software with a mouse, keyboard, or touchscreen. This makes VXDIAG MULTI Professional BMW Scan Tool easier to use than the other small, standalone handheld scan tool. You can use it with special software usually reserved for vehicle engineers and perform virtually any interaction you want with your car’s computer. This BMW scanner isn’t the easiest to use. 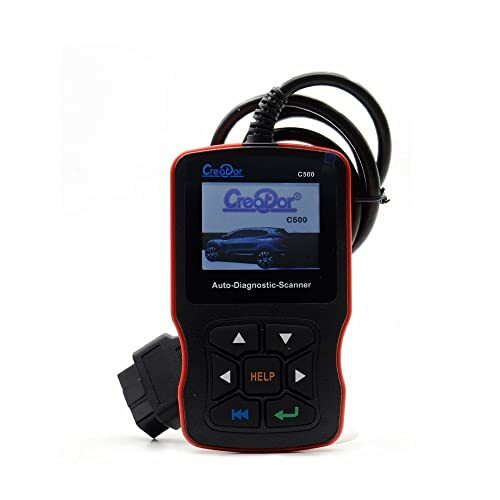 While you can plug other scan tools into your car, turn the key, and instantly view diagnostic data, this scan tool requires a connection to another device with the right kind of software involved. If you do the setup, you get the most powerful scan tool on the market, but it’s definitely a bit more work. Additionally, you actually need to have a computer, phone, or tablet you can hook up. If you don’t have an appropriate device, this scan tool is quite a bit more expensive than its listing price. Who is this BMW scan tool built for? This car diagnostic tool is for professionals and advanced enthusiasts. If you’re not specifically looking for the ability to program your BMW or access advanced diagnostic features, there’s nothing wrong with buying another scanner. 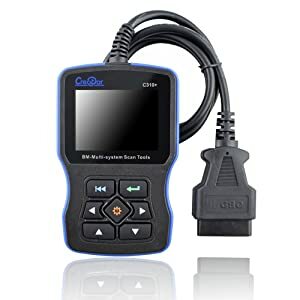 If you know what you’re getting into, however, this diagnostic tool offers the best access to your car’s internal computer. VXDIAG MULTI Professional BMW Scan Tool is the best BMW diagnostic tool in the market for professional BMW mechanics. Do I Need A BMW Scan Tool? BMW vehicles have an uncommon configuration in their OBD-II serial ports. This means that they’ll work inconsistently with non-BMW scan tools. The OBD-II system also will give additional information that can only be read by scanners with special BMW-specific software. In other words, a generic OBD-II scan tool MIGHT work, but it may need special software to deal with weird pin configurations and it might not read all of the data your car can send. A BMW-specific scan tool solves these problems without any hassle!! Some of these are inexpensive pieces of hardware that allow you to talk to your car on a level normally reserved for professional mechanics. Some are built ONLY for BMW mechanics. They’re not more expensive than generic scan tools, either. The only downside is that these scan tools may require a software patch to interface with non-BMW cars. Some manufacturers force you to pay for this software patch, so this can add a bit to the expense of your scan tool. All of these scan tools are pretty cheap. For the cost of a couple hours of your mechanic’s time, you can get a tool you’ll have for a long time that will let you talk to your car and retrieve diagnostic information. Whether you choose a cheap tool with simple functionality or an expensive one that lets your program your BMW, you’ll save lots of cash by figuring out what’s wrong with your car at home. With a little luck and some Google skills, you can even fix the problem yourself without needing to visit a mechanic! Will My Scan Tool Last? OBD-2 is a universal format. While BMW puts a few extra bells and whistles into its cars, you can still use your BMW-specific OBD2 scan tool with other makes and models of cars. This means that purchasing a tool today means that you’ll have one on hand to help with any car problems that your family and friends might have in the future. Which OBD2 Protocol Is Supported By My Vehicle? The Innova 3030g is among the best OBD2 devices you can lay your hands on. But what are the best things it can offer? Any shortcomings? Check it out now. If your ABS warning light is on, you need to have an ABS code reader to identify the faults which caused the light to flash. 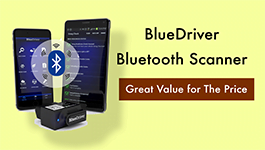 Read the best OBD2 Bluetooth Adapters / Scanners (for iOS / Android) Reviews and pick the suitable one for you. They are all affordable.